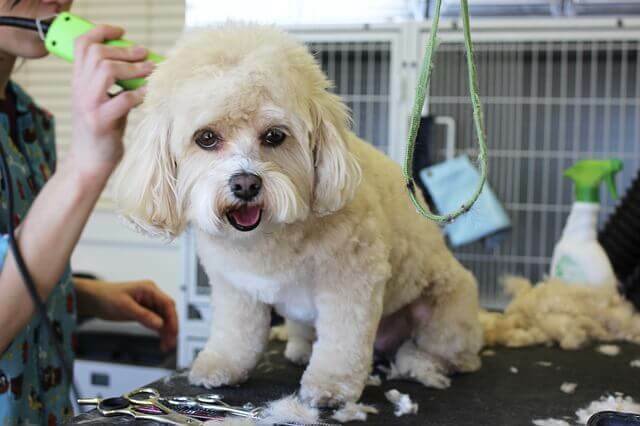 Home / how to / Quick Tips: How to Shave a Matted Dog at Home? Quick Tips: How to Shave a Matted Dog at Home? How to Shave Matted Dog? Dogs with long coats and healthy fur tend to get tangled hair or matted hair. They are the most playful creatures on the Earth and since you cannot change that, you will definitely have to deal with dirt, grease, mats, and tangles. I know you love your dog and you want to keep him clean and healthy. The Therefore, let us begin with detangling your dog's matted hair at home. See, shaving is an alternative when you are not able to untangle the mats at all, therefore, here I will tell you how you can deal with the matted hair easily. After following the process, if your dog still has mats left, then you can shave the hair with a cordless clipper. The process here is what I follow to remove mats of my beautiful dog Bruno. And he looks the cutest after he is all cleaned up. 1. Prerequisites - Before you begin the process of shaving your dog, you must have proper tools like detangler comb and clippers. I have provided you with the list of necessary tools you will need for untangling matted hair below these steps, you can buy them online or from any pet store. Make sure you get these tools because they are quite important and you will need them in this process. 2. Get your Dog Ready - You must be wondering-" For what? ", don't worry I am just asking you get him ready for a shower. This step is very important because when the fur will be all wet it will help you to easily apply shampoo all over his coat. 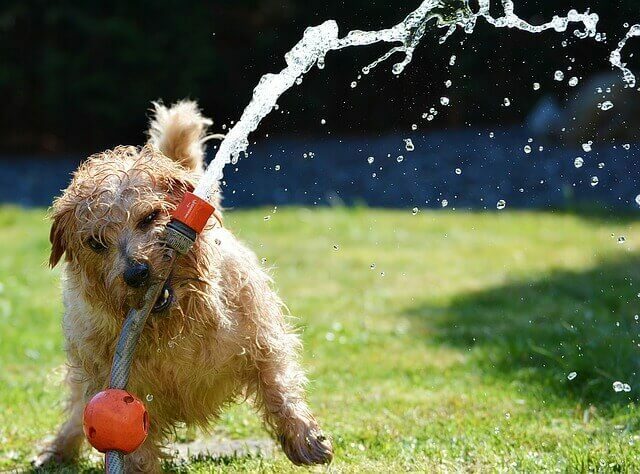 Some say, making the dog wet before removing tangles can make them worse, but the next step will remove that limitation. 3. Smoothen The Fur - Now what you have to do is take the shampoo and apply all over his coat with your hands. Make sure to gently apply behind his ears, below the neck, under the belly, beneath the legs and tail, as these are the places where mats form most often. Smoothen the fur with the foam created out of shampoo. 4. Use Slicker Brush - Slicker brushes have thin bristles which help in detangling mats undercoat. But before using slicker brush use your fingers to find the mats. The foam of the shampoo will relieve the dog from the pulling of hair as it may be quite painful for him. 5. The Right Way to Brush - Brush your dog very gently, brushing a few hairs at a time to separate them from rest of the tangle. For mats, brush in the direction the hair grows. If the mats are unbreakable even after working on them for a considerable amount of time then you can use mat clipping tools to cut through the mat. But make sure you cut in the direction the hair grows. Do keep in mind, use clippers or shavers only if the mats are too difficult to remove from a brush or fingers. 6. Bathe your Dog - When you are done with removing the tangles and mats, you can give him a bath. Thoroughly wash him so that all the shampoo is washed off. Don't forget to wash the special areas like beneath the legs, neck, and tail. 7. Condition your Dog - If you want your dog to have a shiny soft fur then you must apply conditioner after giving him a bath and just wash again, I know you are an expert when it comes to conditioning and I don't need to elaborate that. So let's move on to our final step. 8. Repeat - Yes you read it right. 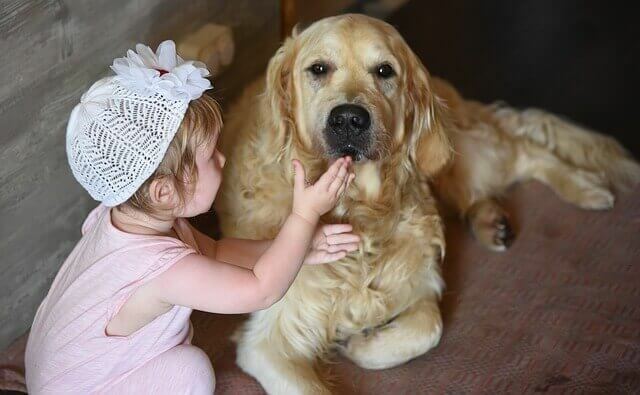 This process is never-ending and in order to keep your dog jubilant and exquisite, you must repeat this process at least 3 or four times a week. This will ensure that his fur remains shiny and healthy always as well as you will be saved from very tough mats every time. It is necessary if you want him to never get worst sort of mats or tangles. After the good bath use Deshredder to comb his fur. This is very important part as he can again get tangles right after he is all dried up. Deshredder combs the fur very easily without causing any pain to your dog and it is very easy to handle. If your dog loves swimming then apply the detangler and shine on him before he goes for a dive. So I hope this process helps you and as I said above here is the list of tools you will surely need to complete the process. ➤A Slicker Brush - This brush helps you in removing the tangles undercoat of your dog. It helps you as well as does not cause pain to him at all. The best slicker brush would be the one with thin and at the same time soft bristles that easily pass through the fur. ➤Cordless Dog Clippers - This is a very useful tool as it helps to cut through the mat quickly. This is a great time-saving alternative. An added advantage is they are cordless hence you don't need to struggle if your dog moves a lot while shaving. Use them with caution and cut only that part of hair which is matted. Clip slowly and in small lengths. ➤Cowboy Magic Detangler and Shine - This is a great detangler from Cowboy Magic. I use it on my dog and the results are quite unbelievable. The best part about it is that you can apply it after the bath and you don't need to buy separate conditioner for him. It gives shine to the fur and also keeps the hair from tangling again. But of course, you will have to keep him clean and follow the above process as told before. ➤Earthbath Oatmeal + Aloe Shampoo - Aloe for dogs! Yes, why not? You want their hair to be naturally healthy and shiny then this is the best shampoo for them. It is soap free and 100% natural. What's best is that it is the top seller on Amazon and people are loving the fragrance after wash.
➤Deshredder Comb - Probably the best tool for your dog. It combs super quick and makes the work very easy. Through it, you can comb undercoat as well as over the coat. The best Deshredder on Amazon is Furminator. It comes for long as well as short-haired dogs. It is also available in different size packaging. These were the tools you need for everyday grooming of your dog. Dogs are the epitome of unconditional love that never ends. Their first and last priority will be you and always you. And what do they ask in return? Of course nothing but your time. You must take out time for them, invest in them and they will return you 100 times more. It is your duty to keep them healthy and take care of them like you would take care of your child. Kudos to the little paws! Subscribe Us to know more about your dog and its grooming and also to get great deals on Amazon. We'd love to know how this process turned out for you, therefore, do not forget to comment below your views and experiences.